Are you an alum, alumnus, or alumna? Email us to tell us what you’re doing or to update your info! Diana Abells is an artist working across the mediums of video, installation and drawing. Born in Maynard, Massachusetts, she completed her BA with a double major in Art & Art History and Physics in 2011, and in 2015 she earned her MFA in art from The Ohio State University. Since 2015 she has been an adjunct professor for the Department of Art at The Ohio State, teaching classes on digital imaging, video art, and drawing. In 2017 Abells was a resident at the Vermont Studio Center. She has shown her work in the Columbus area including The Fort Hayes Shot Tower Gallery, EASE Gallery, Urban Arts Space, multiple collaborative installation projects at The Ohio State University’s Hopkins Hall Gallery, and a solo installation at The Shed. She is a member of the Columbus based artist collective MINT, and is the recipient of a supply grant from the Greater Columbus Arts Council. In her recent work, Abells examines memory, misunderstanding, and desire in childhood. Through a variety of mediums including video, 3D modeling, installation, and drawing, Abells depicts remembered architecture and situations from her past as she brings together information from her own memories, found photographs, internet searches, and recorded footage in playful attempts at using the personal to address what are possibly universal notions of perception. Diana returned to SMCM in Spring 2018 as an Artist House artist-in-residence. Michael graduated from St. Mary’s in 2013 with a major in Art and in his senior year he was the recipient of the Department of Art and Art History’s Senior Purchase Award. Since his time in school he has worked and interned at a variety of art’s related organizations including the Hirshhorn Museum and Sculpture Garden in Washington DC. He has just begun the process of researching graduate school programs with the intention of returning to school in the foreseeable future. He currently lives in Baltimore and works in Columbia, Maryland. Since graduating in 2010, Brian went on to earn his Master’s in Communication with Honors from Johns Hopkins University in 2017. In 2012, he was recognized at the White House as a Champion of Change from President Obama, and as a Daily Point of Light award recipient from President Bush, and received the Johns Hopkins Martin Luther King Jr. Community Service award in 2013. IN 2017, Brian returned to SMCM to participate in the St. Mary’s College of Maryland triathlon, and completed his first 100-mile ultramarathon in 2015 and a second 100-mile ultramarathon in 2017. Brian and his wife, Pamela Boyle, welcomed their daughter to the world, Clara Lynn Boyle, on July 27, 2017. Brian published his second book, “The Patient Experience: The Importance of Care, Communication, and Compassion in the Hospital Room” in 2015, and with his wife, published his first children’s book, Swim Bark Run in June 2018. Josh graduated in 2015 from SMCM with a BA in Art and Art History. Before transferring to SMCM in 2013, Josh attended Maryland Institute College of Art from 2011-2012 focusing on illustration. During his senior year at SMCM he was the recipient of the William Thomas Rowe Scholarship in Art and the McCutcheon Art Award. These grants allowed Josh to attend The Schuler School of Fine Arts in Baltimore where he learned traditional art making techniques inspired by Old Master painters. Since then Josh Carter has exhibited at Yellow Door Art Studios, Prince George’s Community College, and the Schuler School of Fine Arts “From Fur to Feathers” show in 2018. In addition, Josh has worked at Wine & Design as an art instructor and has gone back to school, attending SMCM to complete his Masters of Education by 2019. 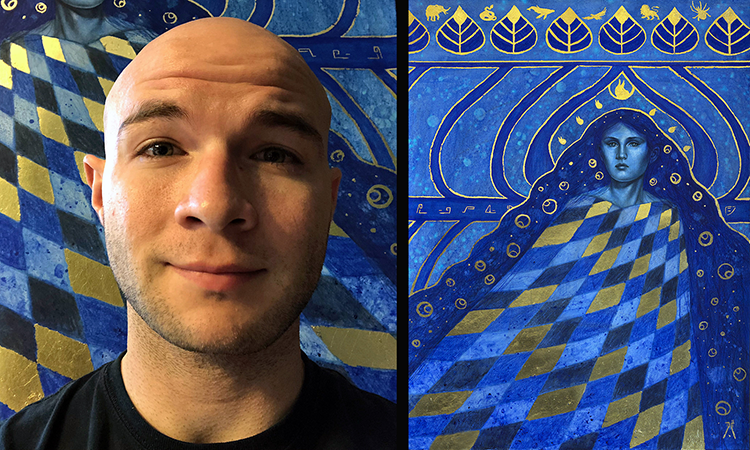 During his time off Josh works on a new body of work that focus on Visionary Arts and Art Nouveau, incorporating gold leaf into mixed media works. In July 2018 his recent work Anima Mundi was bought by an art collector from PA.
Jade Feng Lee is a cartoonist and illustrator based in Maryland. Her comics work uses fantasy and food motifs to explore narratives about identity, diaspora, and human connection. 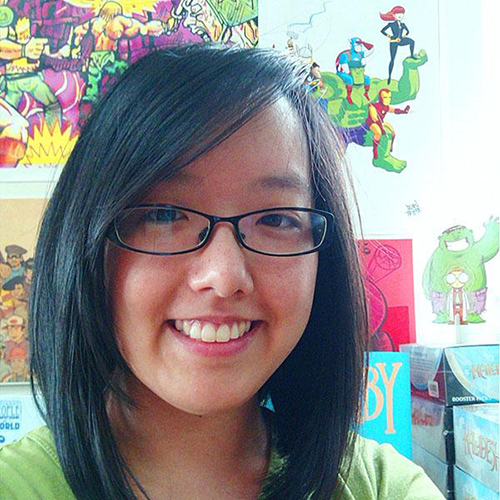 She is currently working on CORAL a middle grade graphic novel about a young girl’s coming of age through her experiences surrounding the Dragon Boat Festival. Samples of her work can be found on her website www.dumplingheart.com. Remina Greenfield is a digital artist, writer, and feminist. Her work focuses on themes of intimacy, identity and surveillance as expressed through digital, interactive, and installation-based work. 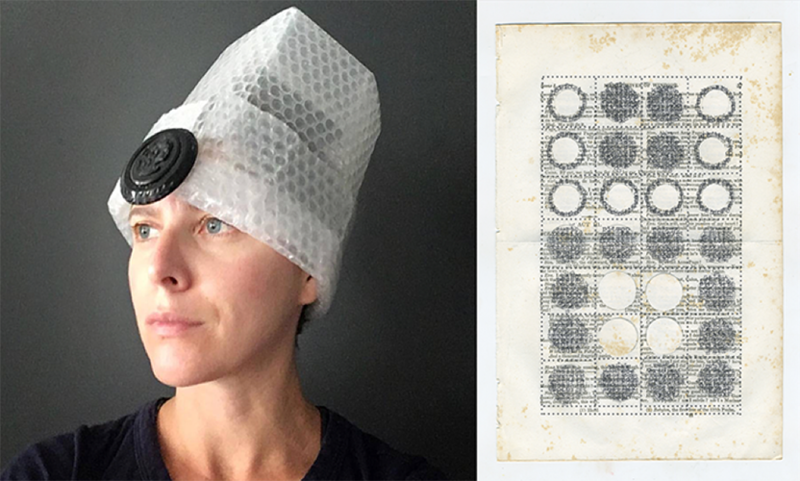 Remina recently completed an artist residency with Agora Collective and is working toward an MFA in Design and Technology at Parsons School of Design. Grace graduated from SMCM with a B.A. in Art in 2017. She was awarded scholarships to attend summer programs at the New York Studio School in 2017 enrolling in two intensive workshops with Joe Santore and Elisa Jensen, and subsequently was awarded a residency fellowship by the Virginia Center for the Creative Arts where she worked on new paintings. Grace has also been awarded fellowship support to attend the Figurative Association Symposium at Arrowmont School of Art and Crafts in Gatlinburg, TN. Recently, her work was included in a group show, ANONYMOUS, in York, PA.
Cole Meyerhoff graduated in 2016 from SMCM with double major in Art and Environmental Studies. 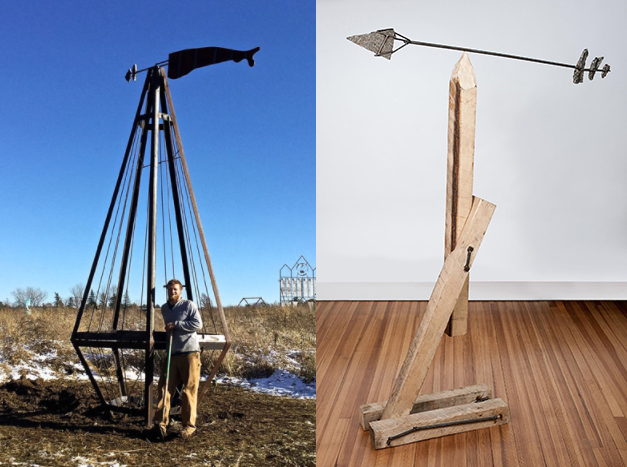 Before starting at the College, Cole spent his ‘gap year’ participating in a number of programs including Haystack Mountain School of Crafts on Deer Isle, ME; Penland School of Crafts in Spruce Pine, NC; and he worked as a shop hand for Albert Paley Studios in Rochester, NY. He also spent a summer as a wooden boat restorer’s assistant and concluded his year with a two-month long internship at The Cape Eleuthera Institute on Eleuthera in the Bahamas. Cole was the recipient of the Senior Art Award in 2016. Since graduating, Meyerhoff completed a three-month long internship and installation at Franconia Sculpture Park in Shafer, MN. 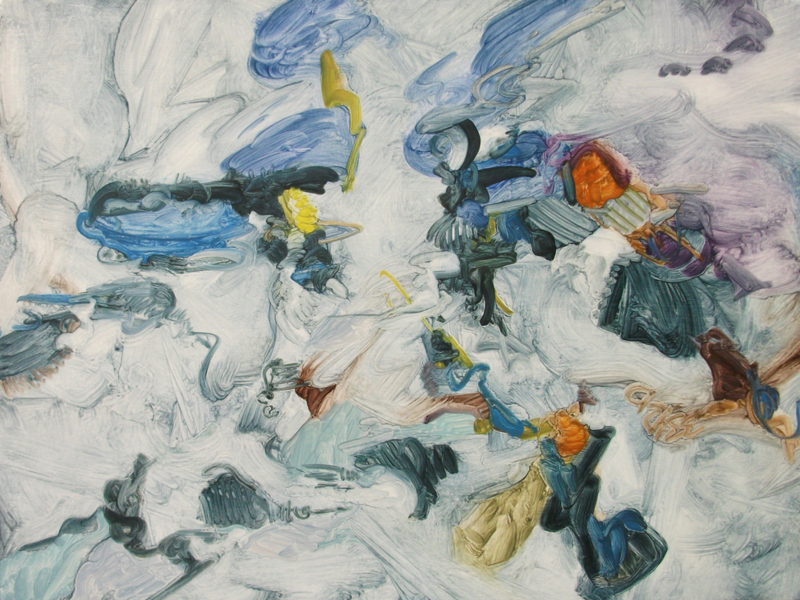 Meyerhoff has exhibited at Casket Arts in Minneapolis, MN and currently exhibits his work at Trippe-Hilderbrandt Gallery in Easton, MD. In February 2018 he was an Artist House artist-in-residence at SMCM. Since graduating from St. Mary’s in 2014, Shannon moved to Philadelphia and started working at a boutique Management Consultancy specializing in strategic communications. She also kept drawing and painting on her own and continued her studies by attending a marathon program at the New York Studio School and through short stays at the Mount Gretna School of Art. After two years of working professionally, Shannon applied for Master degree programs in Landscape Architecture and began her degree work at the University of Pennsylvania in the Fall of 2016. During her summers since starting graduate school, she has worked as a mural assistant through the Philadelphia Mural Arts Program and as the Development and Design Coordinator for the Philadelphia Parks Alliance, a nonprofit advocacy that aims to organize and strength community networks with the goal of improving the health of the public realm. Allison Yancone graduated from St. Mary’s in 2011 and later completed the Master of Arts in Teaching (MAT) graduate program at Maryland Institute College of Art (MICA). 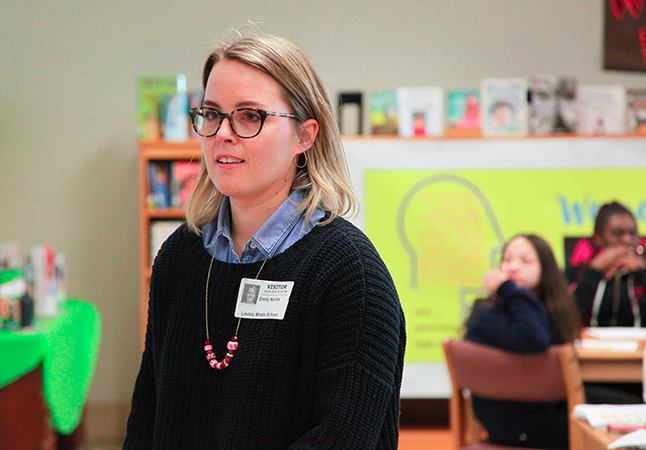 Currently, Allison teaches visual art to students at Bohemia Manor Middle School, a public school in Cecil County. Allison continues to create nature inspired artwork and is working to further expand her artistic practice by selling artwork and prints online. Tara graduated from SMCM with a B.A. in Art and Art History in 2011 and is a web-based artist who currently works and lives in Fairfax, Virginia. She currently holds the position as the Exhibition Coordinator for the Ridderhof Martin and duPont Galleries at the University of Mary Washington in Fredericksburg, VA. She has previously lived and worked in Brunswick, Maine where she was the Visual Arts Technician for Bowdoin College. She has also worked as a graphic and web designer, art teacher, gallery and collections assistant, and for two years after graduation from SMCM held the position of Art & Art History Department Assistant at St Mary’s College. In her creative work Tara is interested in utilizing the Internet as a space where personal stories can become collaborative, and ways in which to use web-based technologies to create interactive artworks that are accessible to anyone with a browser and the Internet. She is also interested in exploring how identity is created, formed, and performed on the Internet. She has been published in Please Hold Magazine and Touch.My.Prints. Tara is a 2018 SMCM Artist House artist-in-residence. My education at St Mary’s (SMCM) truly crafted a strong and diverse foundation for my occupations in creative professional fields. Since matriculating, the diverse framework of theory and application I learned through the liberal arts curriculum at SMCM provided me with the language to express my interest and intent and pursue subjects of curiosity; whether curating bespoke holiday tea China in a Vanderbilt mansion in Newport, R.I. or producing drawings with a Chamorro guide in the jungles of Guam. The human centered approach of the liberal arts and focus on writing taught at SMCM has been invaluable in my career with the U.S. Navy as a Public Affairs Specialist in the Far East theatre- learning how to research, empathize, and anticipate the reaction to information from a diverse and sensitive audience would not be possible without my time studying Art and Art History at SMCM. 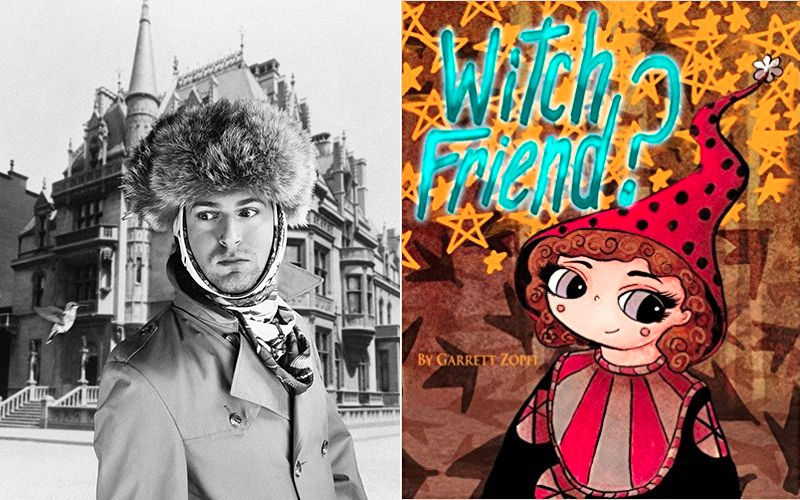 The example of the successful professional artists and art historians in the SMCM department of Art and Art History showed me that I can be successful pursuing what I love to do, like publishing my picture book “Witch Friend?”-available on Amazon. I treasure my time at St. Mary’s and the encouragement and advice I received from the professors sticks with me and its effect on my professional life is unquantifiable. Bio: Garrett Zopfi (1991-) was born on the eve of Halloween in Baltimore, Maryland. He has produced award winning Artist Books and Illustrations like Shadowman, The Baba Book, and The Lament of Rumpelstiltskin. He draws inspiration from mythologies, folklore, and tall tales and how they morph and blend together as the people who tell them do the same. Garrett Zopfi attended St. Mary’s College of Maryland where he studied Art and Art History. He lives in Japan with his husband and two small dogs. His book Witch Friend? is available on Amazon.com. 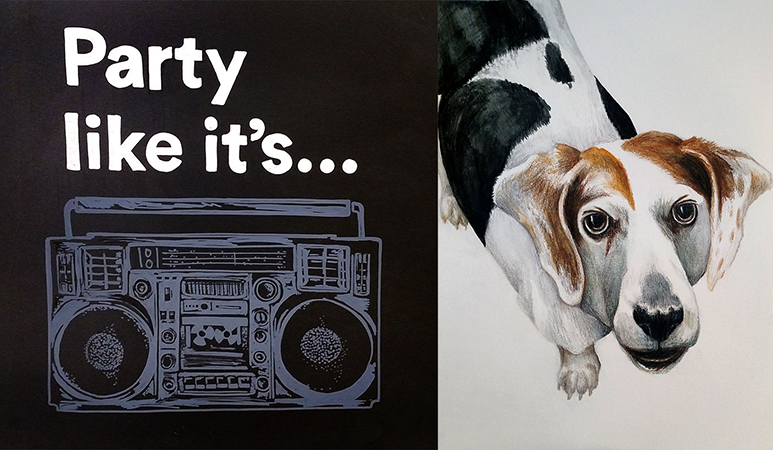 Since she graduated from SMCM, Hannah has attained an MFA in New Genres from the San Francisco Art Institute and moved to Portland, OR, where she currently works as a copywriter and multimedia artist. Her projects, which span video, object, performance, installation, text, and interactivity, have recently been shown widely across the United States and Canada, including recently at the Walker Art Center in Minneapolis, the Indie Bits festival in Columbia, South Carolina, the Winnipeg Underground Film Festival, and as part of Physical Education’s “Say When”. 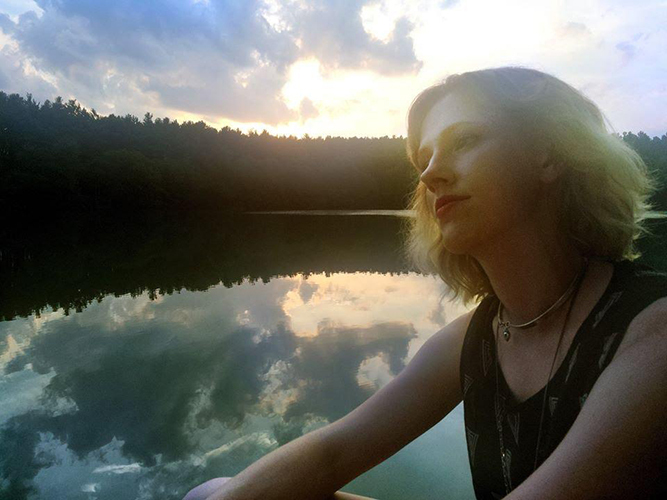 Her video “Outer Darkness” won “The Unreal Reality Award” at the 43rd Northwest Filmmakers’ Festival, and she was an inaugural New Media Fellow at Portland-based media center Open Signal in the Spring of 2017. Her solo exhibition Venus Retrograde, which uses reality television (specifically “The Bachelor” and its spinoffs) as her source material, is currently on view through August 12, 2018 in the APEX gallery at the Portland Art Museum. From 2012-14 she co-founded and co-directed Experimental Film Festival Portland, and from 2015-2017 she co-founded and co-directed Compliance Division, an artist-run live-work project space. 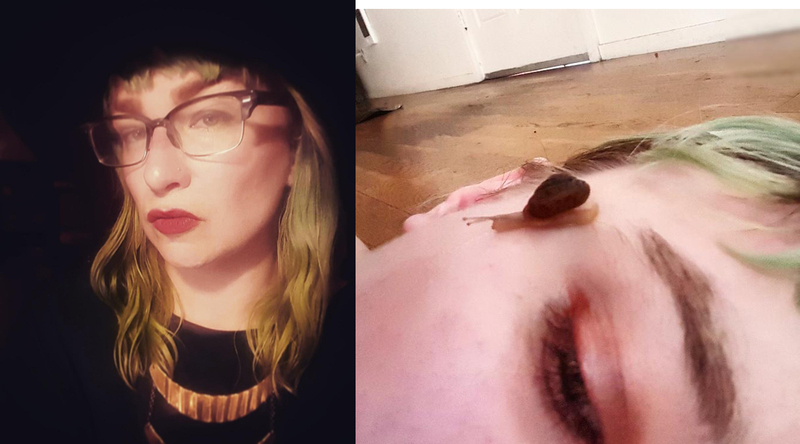 She is also a co-organizer of ALTcade, a semi-annual showcase of experimental interactive art and video games that has been active in Portland since early 2017. Melissa Dean is a graphic designer, artist, and arts administrator, who graduated from SMCM in 2001 with a concentration in photography. Post-graduation, she was a registrar and designer for Maryland non-profit printmaking studio Pyramid Atlantic, and taught at Capitol Hill Arts Workshop and Woodrow Wilson High School. She went on to earn an MFA in Printmedia in 2006 from School of the Art Institute of Chicago (SAIC). Following her masters, she taught for the SAIC Early College Program, was an art director for a small commercial press, and spent a semester as a resident artist at the SMCM Artist House, teaching Printmaking and Topics in Art Studio. Her artwork has been shown nationally and abroad, including two solo shows at Peter Miller Gallery in Chicago. In the last decade, she has worked chiefly as a graphic designer focused on non-profits and progressive causes, primarily as a designer for Revolution Messaging, where she completed work for clients such as ACLU, Amnesty International, the Bill & Melinda Gates Foundation, MoveOn.org, and Planned Parenthood, as well as many other clients as a freelance designer. Since 2012, she has been the Design & Media Manager for the Joan Mitchell Foundation, where she oversees the Foundation’s websites and visual media projects, and works collaboratively on communications projects and strategy towards the Foundation’s mission of supporting artists. After stints in Chicago, Paris, and Brooklyn, Melissa is now based in Rochester, NY, where she lives with her husband Jacob Lewis (SMCM, Art History ’02) and her son Felix. While earning her BA in Art and Art History at SMCM, Amanda was accepted into the 6-week immersion summer program, Design Discovery at Harvard University. Upon graduation in 2003, she earned a Master of Architecture from the Rhode Island School of Design (RISD) and then worked for a small architecture firm in Providence, RI. In 2010 she moved to Naples, Florida. In 2014 and she started her own design firm, Van Eliza Design and in 2017 she became a registered architect in the state of Florida. Shannon graduated from St. Mary’s with a BA in Art & Art History in 2004. She began teaching right out of undergraduate school while also earning her ACT from College of Notre Dame. Shannon went on to earn a MFA from Maryland Institute College of Art in Photographic and Electronic Media in 2009 where she focused on Large Format Architectural Photography. Since that time, she has been the Art Department Chairperson at Poolesville High School where she teaches AP 2D Design (AP Photography) and AP Art History as a part of the Humanities Magnet program. She helped write the MCPS Digital Photography curriculum, and was a consultant to the AP College Board for the new AP Art History curriculum. She has been a presenter at numerous professional art education conferences, and was awarded the MCPS/MAEA Career High School Art Teacher award in 2015. Danielle graduated from St. Mary’s in 2003 with a major in Art and Art History. Her current position is as a Teacher of English to speakers of other languages and Maker Movement Coordinator in São José dos Campos, Brazil. Danielle’s summer study abroad trip to Cortona, Italy during her studies at St. Mary’s ignited a passion for both landscape painting and language learning. 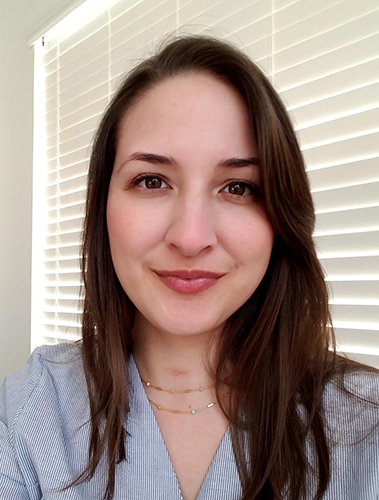 After earning a certificate in Children’s Book Illustration from Rhode Island School of Design, her travels and adventures with language and creative communication led her to become an English language teacher. Currently teaching in Brazil, she combines her love for art and language by leading the way in bringing the maker movement into English language learning. When not teaching or writing, Danielle still paints landscapes, combining her enchanting experiences with the Saint Mary’s River with the lush, mountainous landscapes of the state of São Paulo in water media collages. She blogs about the maker movement and her cross-cultural experiences at gringasjc.blogspot.com. After graduating from St. Mary’s in 2003 with a B.A. in Art and Art History, Matt Hollis moved into an artists’ studio collective in Washington, D.C. He exhibited his organic-inspired sculptures, two-dimensional works, and full-scale installations throughout the D.C., Maryland, Virginia area before moving to the West Coast in 2017. He is currently pursuing a graduate degree in the MFA program at Otis College of Art & Design in Los Angeles, California. Eric’s St. Mary’s Project in ART was anchored around a series of landscape architecture projects that were installed in and around the campus (there might still be one in the bamboo forest!). During his senior year Eric was fortunate enough to combine his senior work with a credit internship at a local architecture firm, which turned into his first career after graduating in 2004. He worked doing custom home design and light commercial/institutional architecture for two Southern Maryland firms up until 2009 when he left the field and returned to St. Mary’s College to pursue an MAT degree in Art Education. 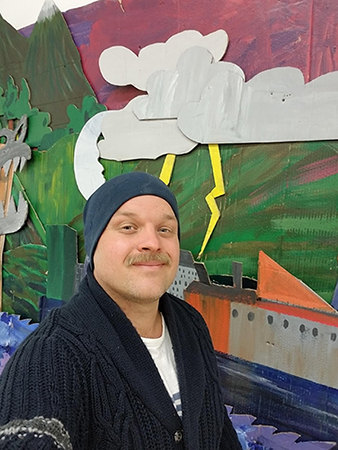 Eric has been a public school teacher since then, teaching Visual Arts K-8 at the Chesapeake Public Charter School in St. Mary’s County since 2012. 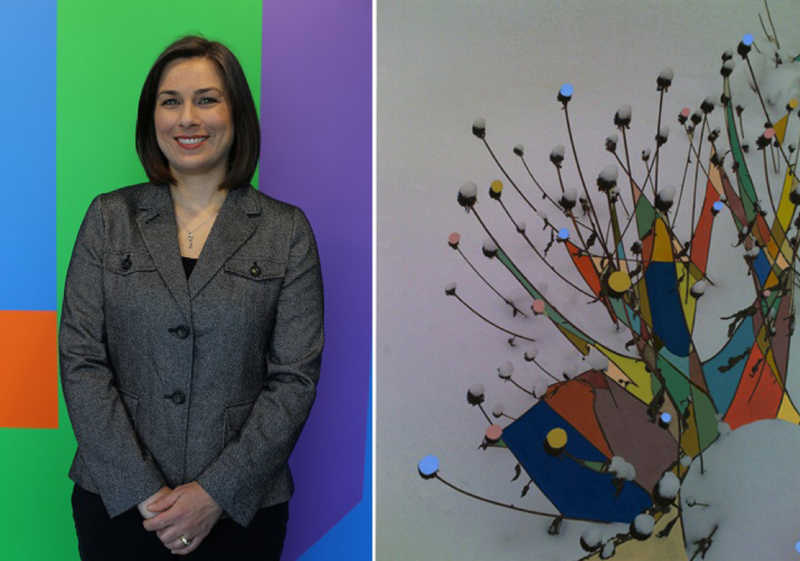 Michelle Kohler ‘01 is a conceptual artist working in Washington, DC. Using the constraints of domesticity, her work emerges at the intersection of art and everyday life. Through text, installation, and performance, Michelle examines the distance between the numinous and the mundane, self and other. Inspired by 17th Century tantric paintings, she uses a typewriter to transcribe spiritual texts into contemplation forms. The mechanical up and down, left and right motion of the typewriter frames her interest in non-dualism. Practicing the ideals set out in texts, she playfully seeks boredom and discomfort as opportunities for creative intervention. Through collaborations, Michelle interrupts accepted stories and habits, often trying to embody the experience of another person. Michelle received a MAT in Art from the Corcoran College of Art and Design and graduated from St. Mary’s College of Maryland in 2001 with a BA in Art and Art History (ART). For the past four years, Michelle has been a resident artist in motherhood. As an ARIM artist she has collected a year’s worth of number 2 pencils from the playground, gone hunting with her father, and published The Bhagavad Gita Typestracts, the complete Bhagavad Gita written in visual form. She is a decorative painter, a certified yoga therapist, and a former DC Public School teacher. Michelle’s work has been shown at Gradient Project Space in Thomas, WV. She is the beneficiary of the 2011 McCarthy Tall Tales Prize, a geodesic dome owner, and spent her honeymoon hiking 1000 miles on the Continental Divide Trail. 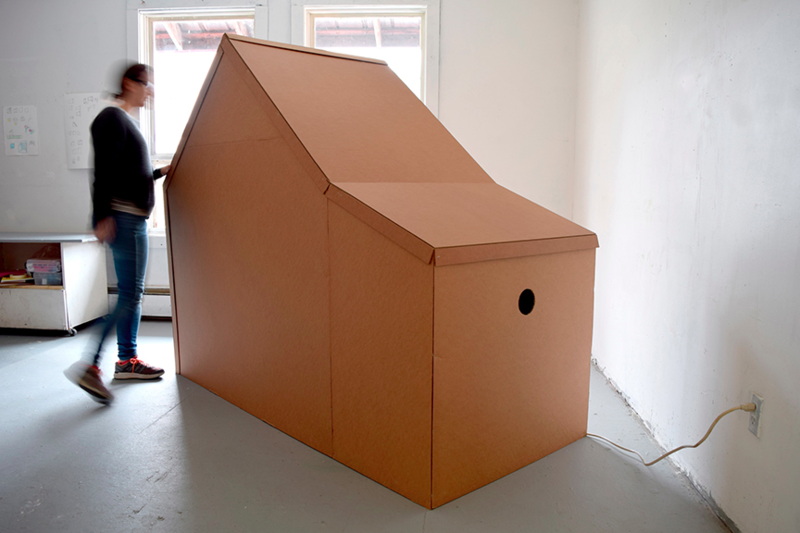 In addition to creating new work, while in residence at the Artist House Michelle will participate in the ART SMP mid-term reviews and visit the new Professional Practices course as a visiting artist. Michelle returns to SMCM in Spring 2019 as an Artist House artist-in-residence. Liz Lawrence graduated from SMCM with a major in Art in 2008. She is the Development Director for the McKenzie River Trust, a nonprofit land trust in western Oregon where she has worked since 2010. In 2017, she led a group of volunteers and staff to raise over $4.6 million to permanently protect, restore, and care for Finn Rock Reach, a property that provides clean drinking water for over 200,000 people, access for fishing, swimming and boating, and critical habitat for wild salmon on the McKenzie River in Oregon. She serves as a member of the board of the Coalition of Oregon Land Trusts, a statewide group that works to grow resources and support for land trusts. After graduation, Liz and her then-partner, now-husband Aaron Brussat (TFMS ’07) spent three months on a road trip across the USA, visiting as many friends, family, and national parks as they could find, and keeping mostly off the big interstates. When they arrived in Eugene, Oregon in August of 2008, they had no jobs, no house, and nobody they knew. Liz worked in retail, building picture frames and stocking groceries for a year while moonlighting as an Americorps volunteer managing art galleries at two different recycling centers. Then she returned to school for a Masters Certificate in Nonprofit Management at the University of Oregon. This led to an internship and then a job with the McKenzie River Trust. Today, Liz scratches her art muscles visiting as many contemporary art spaces as possible while traveling, and serving as a member of the board of the Lane Arts Council, which advocates for the arts and provides resources to artists and K-12 arts educators across an area the size of Connecticut. She is a big fan of strategic planning, sound financial management, dancing, meditation, and swimming in rivers. Ashley is currently the Gallery Guide Manager at the Smithsonian’s Hirshhorn Museum and Sculpture Garden. After graduating with a degree in Art in 2007, she taught English as a Second Language in South Korea, Vietnam, and Washington, DC. 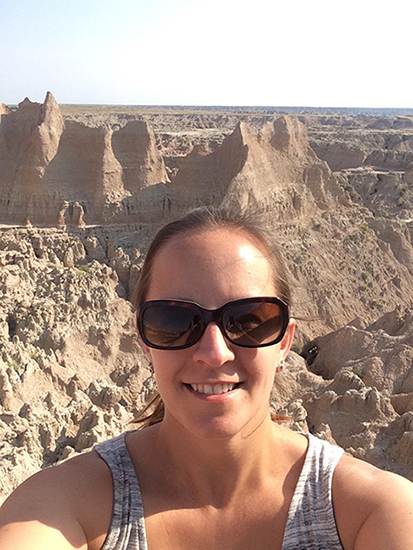 She completed an MAT in Museum Education at George Washington University in 2012. She joined the Hirshhorn in 2013 as an ARTLAB educator, mentoring teens in making and digital media. In 2016, she was the inaugural Fab Lab Fellow at the US Embassy in Seoul, South Korea where she developed and led art and technology workshops on harnessing the creative power of mobile devices. Since joining the Hirshhorn’s Gallery Guide Program in 2016, Ashley has expanded the size and reach of the program, increased diversity in the program, and developed a training program that prioritizes inclusion and accessibility. She is also the Hirshhorn’s “Chief Roboteer,” experimenting and employing Pepper Robots in the galleries. Emily Norris coordinates arts education projects for Young Audiences/Arts for Learning. Projects include a collective impact initiative called Arts Empowered Minds that ensures equitable access to the arts in twelve Northern Anne Arundel public schools and a summer literacy program in partnership with The Harry and Jeannette Weinberg Foundations’ Library Project in Baltimore City Public schools called SummerReads. Both projects utilize professional teaching artists and arts integration to engage students and support educators. Alexis graduated from SMCM in 2000 with a B.A. in Art & Art History and has been consistently making prints and print-informed projects ever since. In 2001, he received a Fulbright Fellowship to go to Barcelona, Spain where he completed a series of woodblocks as part of his project called “A visual ethnography of Spain.” In 2003, he started his MFA study at Tyler School of Art and completed it in 2005 at Temple University’s Rome campus. Alexis began teaching as an adjunct at Tyler in 2007, where he continues to teach. At this same time he began keeping a regular studio practice in south Philadelphia. In 2012 he bought an etching press and joined an artist collective called NAPOLEON, and has been showing and working with other artist collectives around the US. In his shop, now called Dos Tres Press, he runs private workshops, mentors those interested in print media, collaborates with other printmakers and occasionally works as a master printer. Alexis has shown his art work at The Center for Art in Wood, Pennsylvania Academy of Fine Art and the Pittsburgh Center for the Arts. Recently, Alexis was selected to be part of the 2017 Philadelphia CSA (community supported art), His variable woodcut edition was sold in shares to collectors who wanted to support local artists. Currently, he is working with the Latino community in Philadelphia to create a Dia de los Muertos ofrenda. The anchor of the project is a series of 50 woodblocks that will make up the shrine, and it will on view at Fleisher Art Memorial, one of the largest non-profit art organizations in Philadelphia. Dave graduated from SMCM in 2004 with a B.A. in Art and Art History and subsequently earned a M.A. in Arts Management from American University in Washington, D.C. 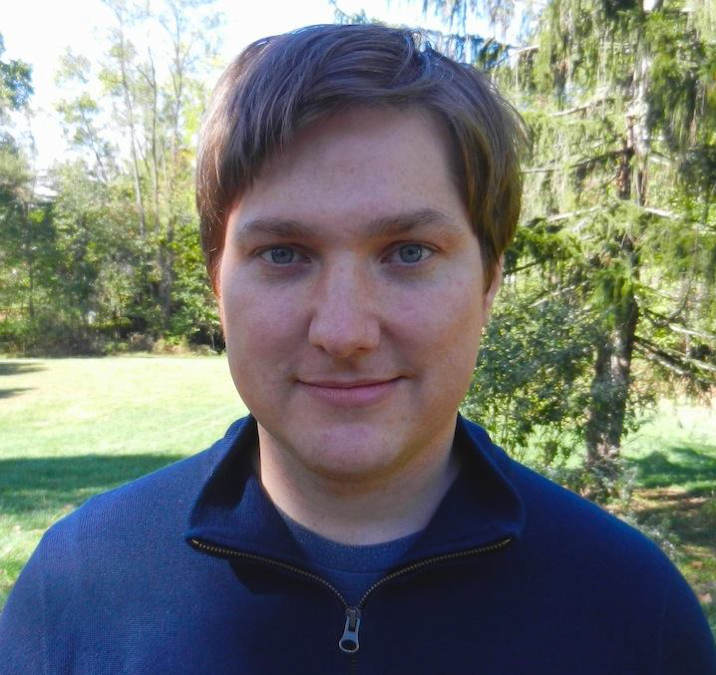 Since 2013, he has been working as the Programming Manager for the Columbia Festival of the Arts—a multi-disciplinary sixteen-day summer arts festival in Columbia, Maryland. His work has involved programming, planning, and managing logistics for the Columbia Festival’s free and ticketed events with a wide variety of groups, such as Pilobolus Dance Theatre, Australia’s Strange Fruit, Judy Collins, Architects of Air, the Peking Acrobats, Monterey Jazz Festival on Tour, The Second City, Post-Secret, and Fémina. Dave also organized and led the Festival’s visual arts committee, which annually juries over fifty-five studio artists to exhibit their original one-of-kind work at the organization’s Free Lake Fest Weekend. Dave shares with us that he continuously researches future program content and especially enjoys building and nurturing partnerships within the community through the arts, and that he also enjoys working as part of a team and values his relationships with artists and arts managers immensely. Artist Taj Vaccarella graduated from St. Mary’s College in 2009. Shortly thereafter he bought a one-way ticket to Los Angeles determined to continue a livelihood as a fine art painter. He travelled up and down the west coast, bought an old postal van in Mount Shasta, and kept following leads in search of the right locale for creating and selling canvases. The big cities lacked the necessary landscapes to fuel his creative impulse and the beautiful countryside lacked a quality art scene and wealthy art collectors. Taj moved to a new state or landscape every few months throughout his twenties, following love or pursuing beauty almost frantically. He lived in his van for several month stints along the California and Oregon coasts periodically staying with the dear friends he made in college who had also gone West after graduation. He has shown with galleries and in group shows in prestigious venues as well as unglamorous ones, been commissioned and hosted by major art collectors in the US and Europe and each day he’s not sure what’s next. Many of the regular collectors and patrons of his artworks are themselves St. Mary’s College alumni. He has felt well equipped for life as a professional fine art painter with the practical skills he acquired during his art education at SMCM. 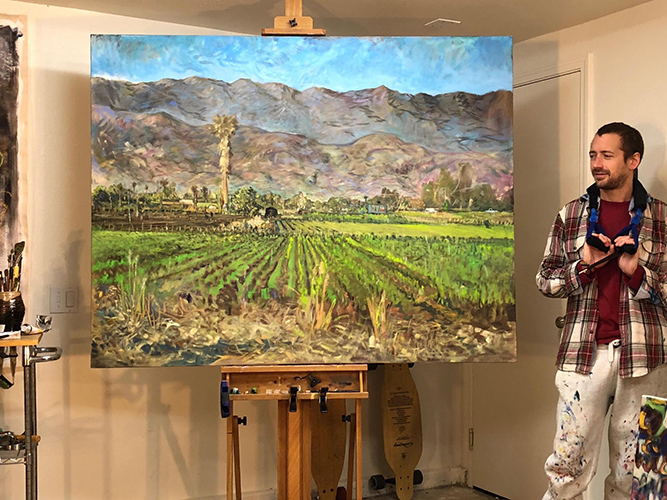 Taj currently resides in a small coastal town near Santa Barbara, California and enjoys the kind of beach going lifestyle that keeps him fueled for all night, every night painting sessions. He realized, after the utopian bubble of college, that it takes absolute faith and dedication to pursue the artistic life. And one must do so relentlessly and often with little to no reward aside from artistic progression. Pursuing art and philosophy in school helped him gain the courage and thinking skills to pursue a life of personal freedom and constant creativity. 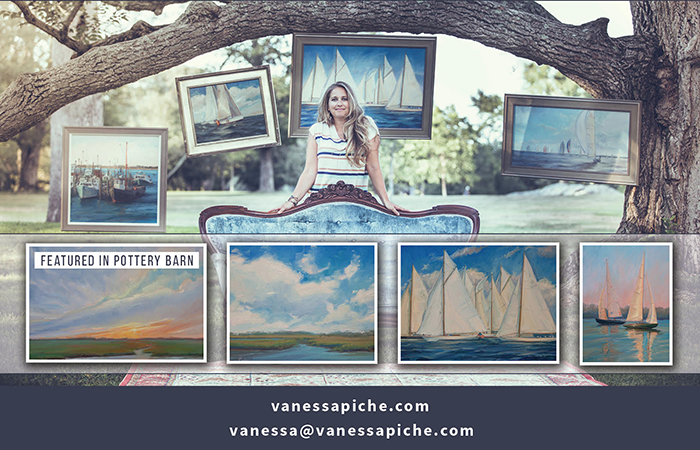 Bonnie Veblen is an artist currently living in Davis, CA who graduated from St. Mary’s College of Maryland with a B.A. in Art and Art History in 2009 with minors in Environmental Studies and Biology. She completed a Post-Bac at Pont-Aven School of Contemporary Art in Pont-Aven, France in the fall of 2009. In 2014, Bonnie graduated from the Center for Massage and Natural Health and is certified to practice massage therapy in California. She has worked as an illustrator, graphic and web designer, medical assistant, and massage therapist. Bonnie exhibited some of her photography in a duo exhibition at Yoga on York in Baltimore in 2013. Her illustrations have been published in The Complete Photo Guide to Perfect Fitting (Creative Publishing) and Windpower Engineering & Development (April 2018). Her work is also available to view on the web. Bonnie’s current artwork and writing explores the intersections of wildness, interconnection, transformative cycles, nervous system regulation, and wholeness. She often pairs images with words in the form of poetry or prose, so that they become a living unit, mutually informing and adding dimension to each other. Bonnie works in watercolor and acrylic as well as photography to distill the essence of natural spaces and beings she encounters in her daily life and her travels. She is especially interested in the experience of genius loci, the spirit or essence of a place, which is particular to that place alone given all of the qualities that meet there, and how that experience can have deep impact on a person’s interior process and wellbeing. Bonnie returns to SMCM in Fall 2018 as an Artist House artist-in-residence. Mike Johnson graduated with a B.A. in Art & Art History in 1996 and is an audio-visual field engineer and mixed/multi-media artist living in Baltimore, MD. Since 2003, one of his major ongoing projects has been creating sideshow and haunted-house related performance/installation/interactive works alongside a group of collaborators as Moloch’s Midway & Cabinet of Infernal Mysteries. Moloch’s Midway environments feature artistic carnival-style electronic games, live performance, interactive electronics, lighting effects, and sideshow banners, and have been presented at various arts festivals, nightclubs, and private venues in the Baltimore-DC area. 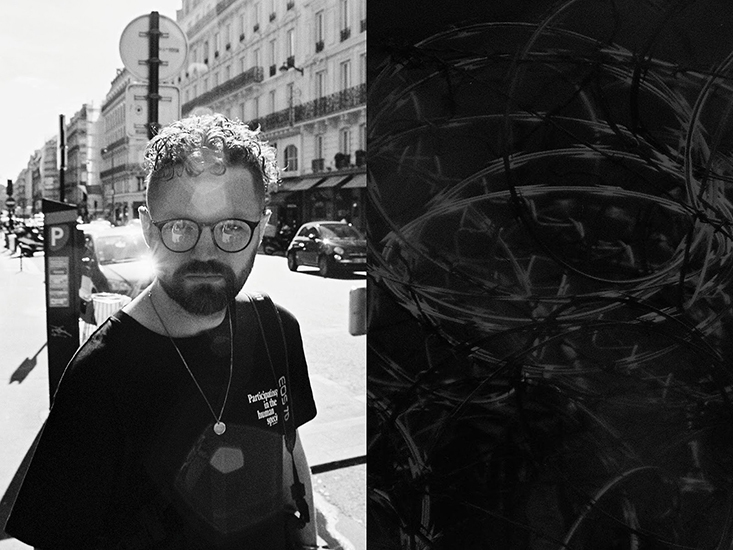 Mike also produces mixed media objects and homemade electronic instruments. Mike holds an M.F.A. from the Maryland Institute College of Art in Photography and Digital Imaging, and a wide range of audio-visual industry certifications. Mike taught video at MICA, photography, video, and electronic media at George Washington University, photography and video at Wide Angle Youth Media, and has worked in the audio-visual industry since 2003. S. Amy (Sehman) Odom ’98 is a K-5 art teacher in Howard County Maryland. After graduating from SMCM, Amy got a BS in Art Education at Towson University. For 10 years she lived and worked as a K-5 art teacher in South Portland, Maine. In 2008 Amy got her MAT in Curriculum and Instruction: Integrating the Arts from Lesley University. She now lives with her husband (Doug Odom ’99) and daughter in Columbia, MD. Mary Jane Rowe was born in Baltimore, MD and earned a B.A. in Art and Art History from St. Mary’s College of Maryland with additional study at the Schuler School, Baltimore, MD. Rowe began her studies at SMCM in 1968-71 and returned in 1994 to complete her degree. Her ongoing series of paintings and drawings, Field Studies, are based on and inspired by her travels to the sites of ancient ruins in Rome and Athens. These works are set in a contemporary yet remote industrial landscape that shows evidence of curious human activities that leave these sites abandoned, surreal and out of time. Rowe has had one-person exhibitions at the Tony Hungerford Gallery, College of Southern Maryland and the North End Gallery, and her work has been included in curated group exhibitions at Opal Gallery, Fredericks Center for the Creative Arts, Boyden Gallery, Fletchers and Annmarie Garden Sculpture Park. She has been awarded residency fellowships at Virginia Center for the Creative Arts in 2009 and 2016. Winifred King Thompson graduated from SMCM with a major in Art & Art History in 1998. She is currently an art teacher at St. Mary’s Ryken High School in Leonardtown, MD, teaching AP Art History, Introduction to Visual Art, and Darkroom Photography. At SMCM, she was the recipient of the Senior Purchase Award, Department of Art and Art History in 1998 for her painting, Trepidation. Upon graduation, she started teaching at Bullis School in Potomac, MD. Winifred worked there for 16 years, teaching all grade levels. She taught several disciplines and proposed, designed and developed curriculum for new class offerings. She helped grow and expand the Visual Art Department and was involved in the design of the Fine Arts Center. Winifred designed and led student art-based learning excursions to Paris and Tuscany, as well. A desire to be closer to family brought her back to St. Mary’s County in 2012. She resides in Hollywood with her husband and four boys. Winifred continues to develop her personal work, exploring intersections of systems of belief within technology and religion. Her work, Confessional, was included in Across the Ages: An Alumni Exhibition at Boyden Gallery in 2014 and was awarded the Juror’s Choice Award. Kim Thorpe received her BA in Studio Art from St. Mary’s College of Maryland in 1994 and her MFA in painting and printmaking from the Rhode Island School of Design in 1996. Inspired by landscape imagery and abstraction her paintings explore color, shape and line. She exhibits her work locally and nationally. Kim currently has a studio at Pyramid Atlantic Art Center in Hyattsville, MD. Christoph Weber ’95 is an Associate Professor of German at the University of North Texas (UNT). He completed his doctoral degree in modern German literature at the University of Wisconsin-Madison in 2009. At UNT, he has been teaching a wide variety of undergraduate courses such as Weimar Germany, the Third Reich, German travel literature, and the literary depiction of natural and manmade disasters. Over the past years, his research has centered on disaster narratives from the early-modern period to the present. 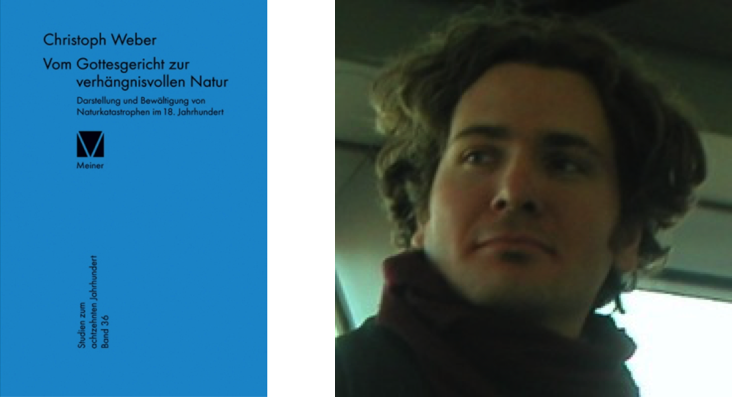 In 2015, he published the monograph Vom Gottesgericht zur verhängnisvollen Natur. Darstellung und Bewältigung von Naturkatastrophen im 18. Jahrhundert [From Divine Punishment to Accidents of Nature: The Depiction of Natural Disasters in the 18th Century]. Recent articles have focused on the textual representation of the Dresden, Hamburg, and Cologne bombings during World War II. During the sabbatical leave in spring 2017, he and his wife Jennifer Jenkins, who is an Associate Professor of German at Pacific Lutheran University, conducted research at the German Literature Archive in Marbach, Germany. Since fall 2017, he has held the administrative position of Director of Undergraduate Studies for UNT’s Department of World Languages, Literatures, and Cultures. After graduating in 1977, Jeanne worked for ten years as an exhibits designer, graphic artist, sign maker, and draftsman for various military contractors at Patuxent River Naval Air Station, and companies in Lexington Park, MD. In early 1989 Jeanne started her own business as a freelance graphic artist and silk-screen artist. She now focuses solely on being a full-time artist, in the medium of serigraphy or silkscreen printing. She also works in pastel. Jeanne is a charter member of the North End Gallery in Leonardtown, an artist co-op, which was founded in 1986. Her work can be found there, as well as in various galleries throughout the State of Maryland and in selected arts and craft shows on the East Coast. Her work can be found in private and corporate collections around the world.